There’s plenty to do on a sunny day in Munich. Start you day by renting out a bike in Munich’s bohemian quarter Schwabing. 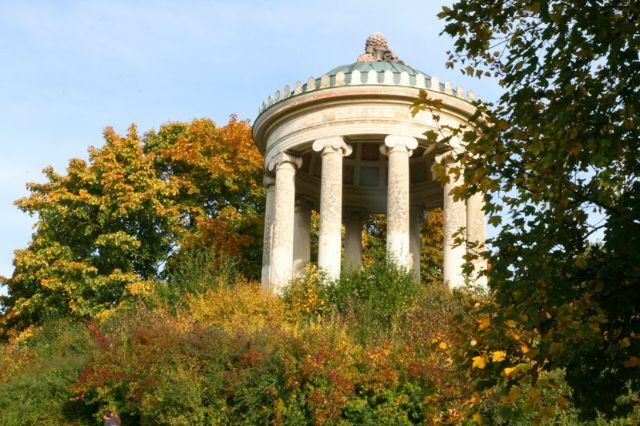 Heading east from Münchner Freiheit you’ll get to the English Garden, Munich’s biggest city park. 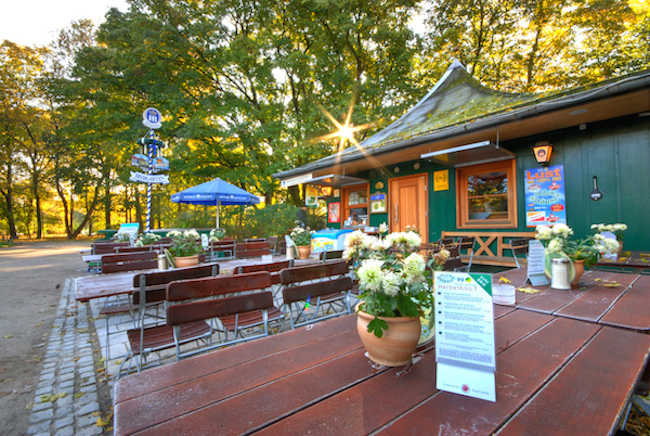 Here you can grab a bite to eat at Milchhäusl, a small pavilion at the edge of the park, offering delicious organic snacks. Be sure to leave a tip. They’ll ring their old iron bell just for you! If you feel like enjoying the view for a little while you can rent a sun chair at Sonnendiebe located right near the Milchhäusl. 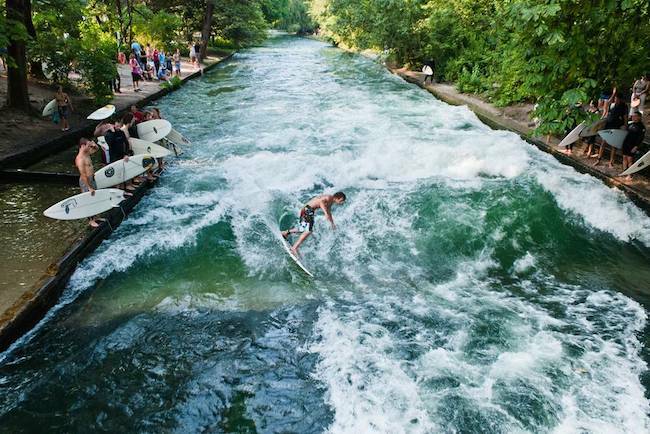 Be sure to check out the Eisbach city surfers or the Seidl Villa bees on your way out of the English Garden. If you don’t feel like biking you can start your tour by foot and take a 10 minute walk to the Kleinhesseloher lake and enjoy a fun paddleboat ride. From the lake you can walk to the nothern part of the English garden and visit the beautiful Aumeister beer garden. During the week it’s nice and quiet in this rather secluded part of the park. If you’re more of a foodie you can start your tour at the St. Moritz Kiosk and pack your rented picnic basket at Elisabeth Market and head out to look for a perfect spot to relax and munch on organic snacks. After a day in the English garden you can SLOW DOWN in the Max-Emanual Biergarten located in the middle of Schwabing. This quiet little beer garden is an insider tip even among the locals.